Canaletto (and his studio) – private collection. Title: St. Mark’s Square. Date: early 1730s. Materials: oil on canvas. Dimensions: 69.5 x 115.5 cm. Source: http://www.robilantvoena.com/inventory/view?item=401. 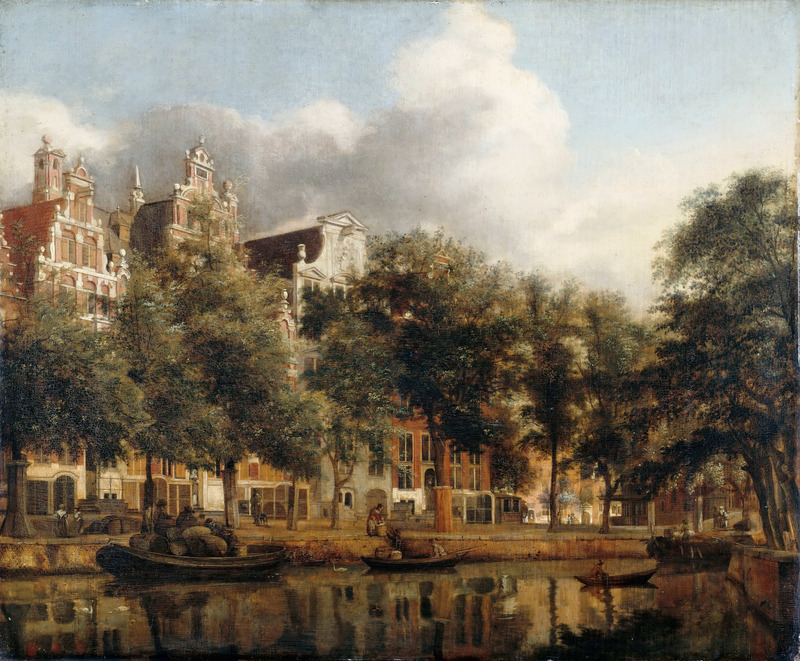 Cornelis van Dalem – Museum Bojimans van Beuningen 3363 (OK). 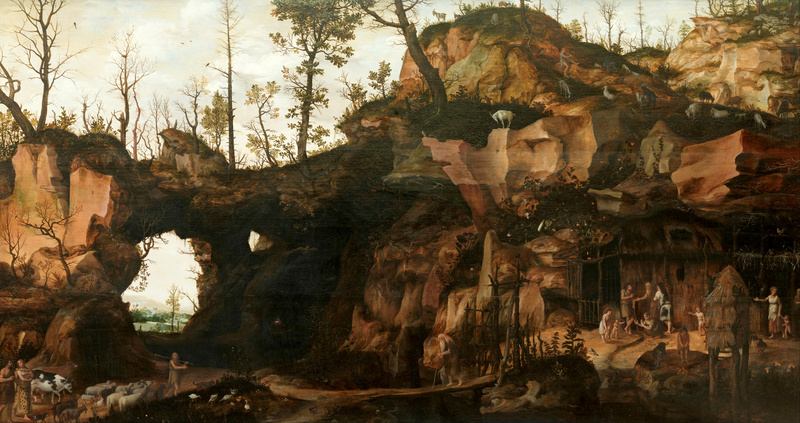 Title: Landscape with the Dawn of Civilisation. Date: 1560-1570. Materials: oil on panel. Dimensions: 88.5 x 164 cm. Nr. : 3363 (OK). Source: http://commons.wikimedia.org/wiki/File:Cornelis_van_Dalem_-_The_Dawn_of_Civilization_-_Google_Art_Project.jpg. I have changed the light, contrast and colors of the original photo. 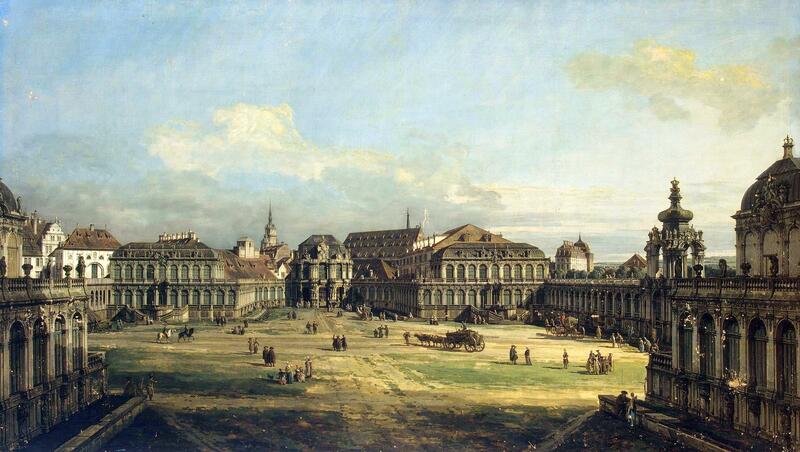 Bernardo Bellotto – The Hermitage Museum ГЭ-205. Title: Zwinger in Dresden. Date: 1752. Materials: oil on canvas. Dimensions: 131 x 233 cm. Nr. : ГЭ-205. 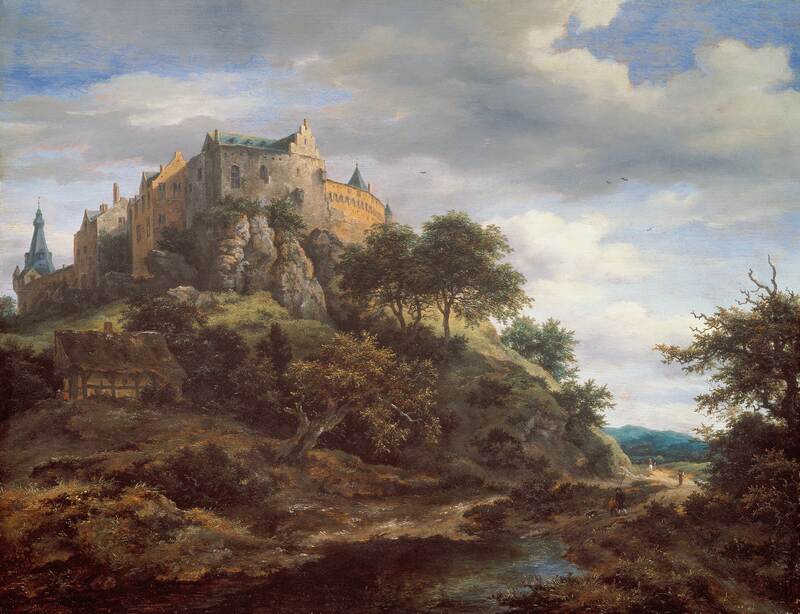 Source: http://www.hermitagemuseum.org/wps/portal/hermitage/digital-collection/01.+Paintings/32287/?lng=. I have changed the light, contrast and colors of the original photo. 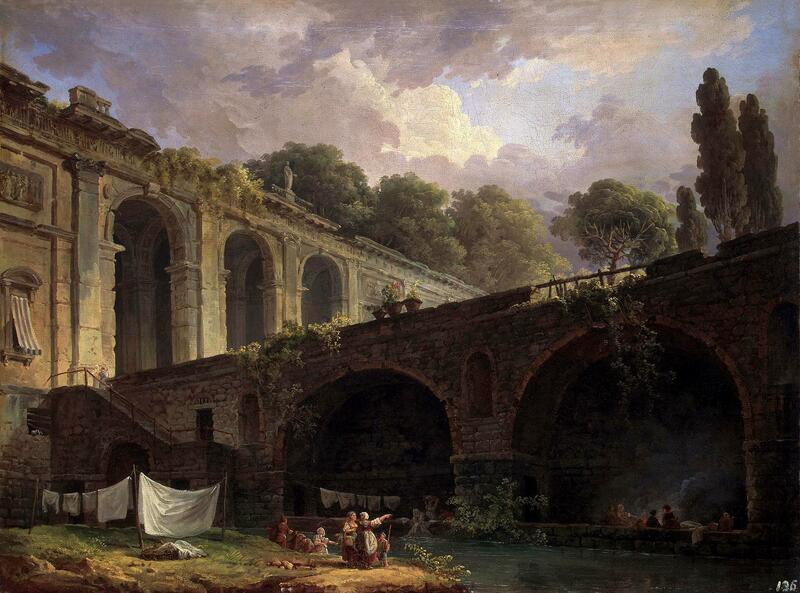 Hubert Robert – The Hermitage Museum ГЭ-7593. Title: Villa Madama near Rome. Date: c. 1767. Materials: oil on canvas. Dimensions: 53 x 70 cm. Nr. : ГЭ-7593. 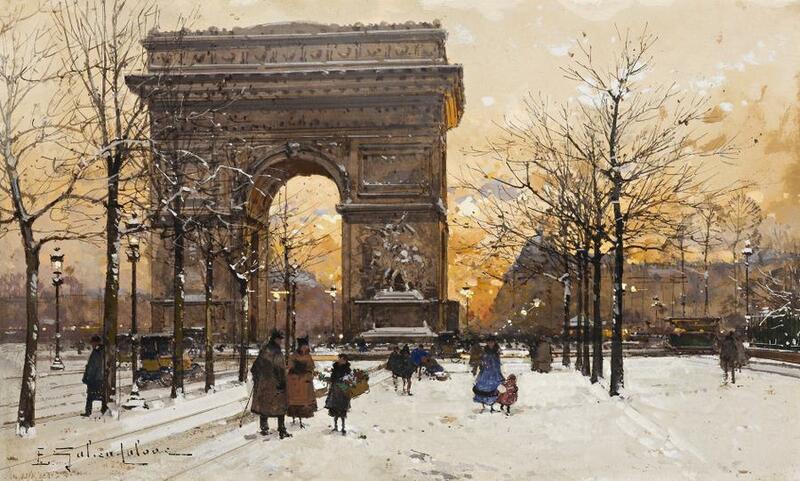 Source: http://www.hermitagemuseum.org/wps/portal/hermitage/digital-collection/01.+Paintings/38135/?lng=en. I have changed the light of the original photo. 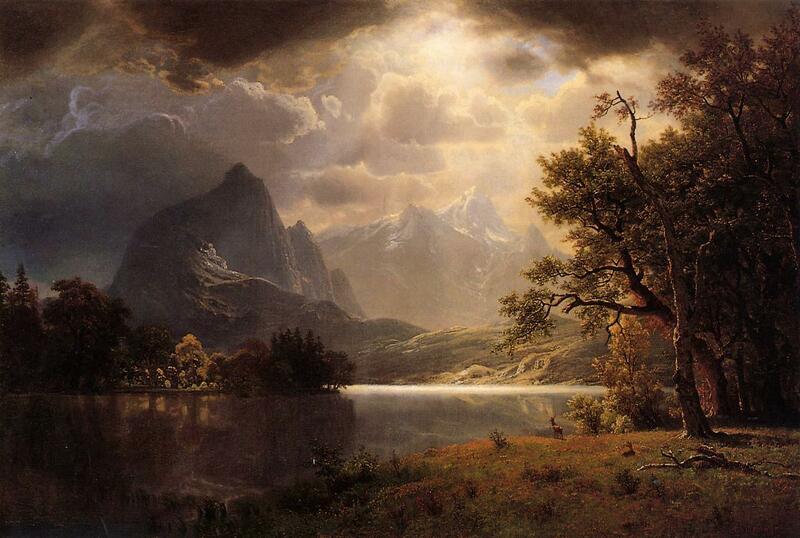 Albert Bierstadt – private collection. Title: Estes Park, Colorado. Date: 1869. Materials: oil on cavas. Dimensions: ? Source: http://www.wikiart.org/en/albert-bierstadt/estes-park-colorado-1869. I have changed the colors of the original photo. Ivan Shiskin – private collection? Title: По грибы/Gathering Mushrooms. Date: c. 1860s-1870s. Materials: oil on canvas. Dimensions: ? 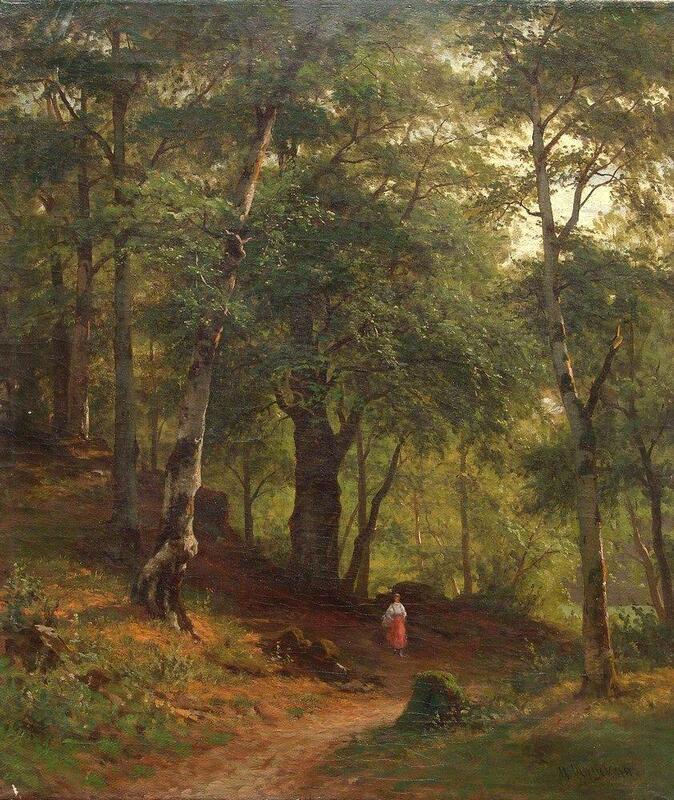 Source: http://www.wikiart.org/en/ivan-shishkin/gathering-mushrooms. I have changed the contrast of the original photo. 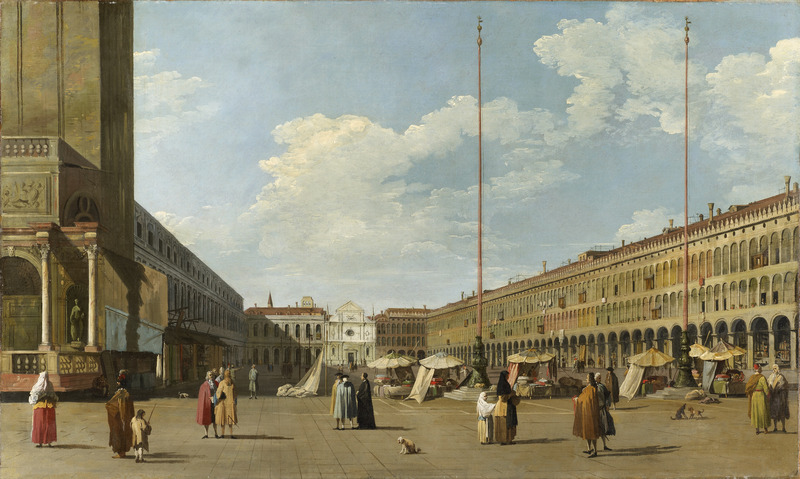 Canaletto – The Museum of Fine Arts (Houston). Title: The Grand Canal near the Rialto Bridge, Venice. Date: c. 1730. Materials: oil on panel. Dimensions: 73 x 49.7 cm. Nr.: ? 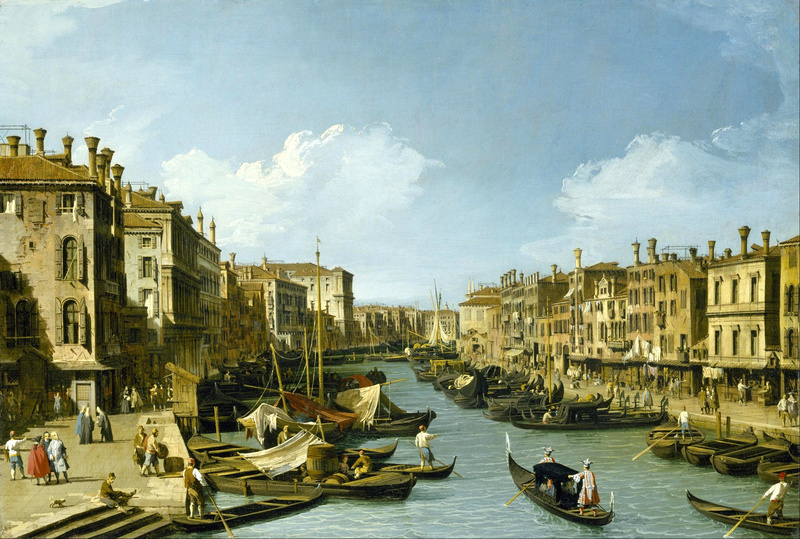 Source: http://commons.wikimedia.org/wiki/File:Canaletto_-_The_Grand_Canal_near_the_Rialto_Bridge,_Venice_-_Google_Art_Project.jpg. I have changed the contrast of the original photo.